Benches are ideal for adding that extra seating where a sofa of chair will take up too much room. We have a great range of benches available, with and without storage, that will add that much needed extra seating or simply a way of expressing your own style. Anyone who loves the rustic, old style country look cannot fail to be impressed by this bench with it’s dark brown faux leather top. 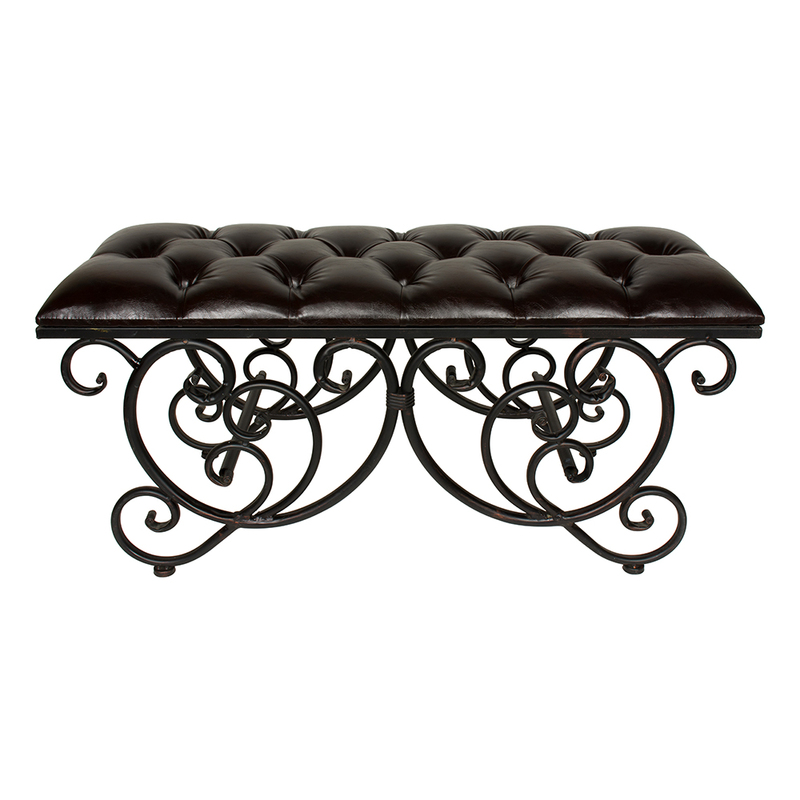 With a dark faux leather cushioned seat that sits atop a beautifully ornate scrolled metal frame, this is sure to create an impact wherever you choose to place it. Benches are ideal for adding that extra seating where a sofa of chair will take up too much room. We have a great range of benches available, with and without storage, that will add that much needed extra seating or simply a way of expressing your own style. Anyone who loves the rustic, old style country look cannot fail to be impressed by this bench with it’s dark brown faux leather top. 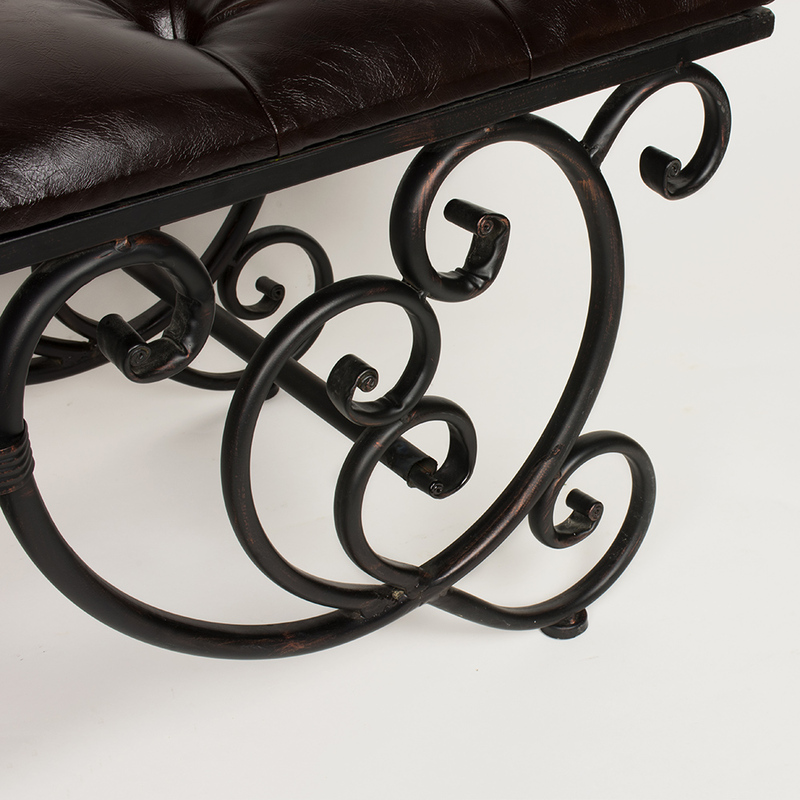 With a dark faux leather cushioned seat that sits atop a beautifully ornate scrolled metal frame, this is sure to create an impact wherever you choose to place it. 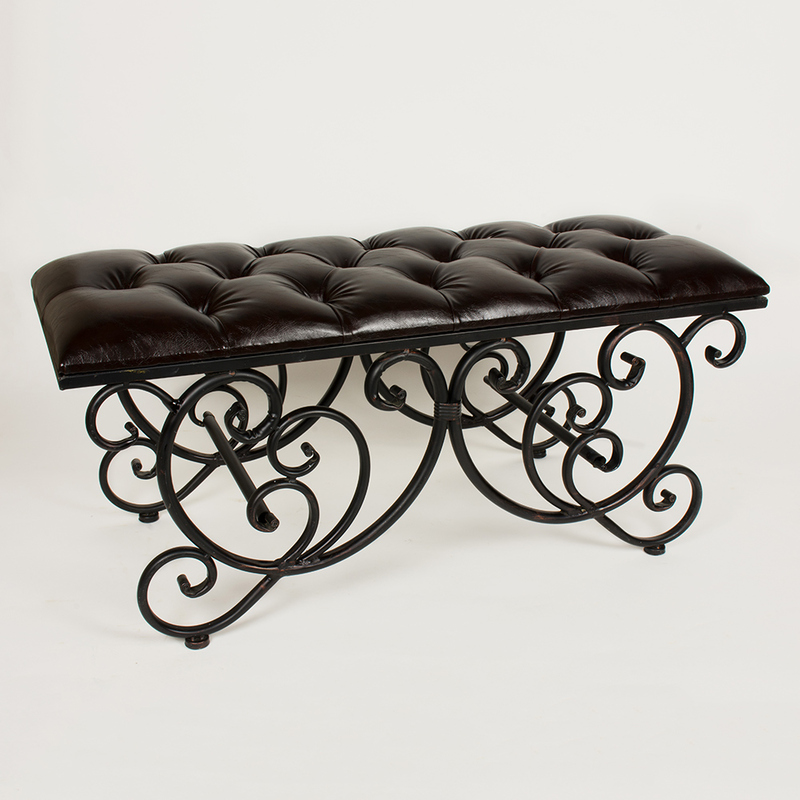 Offering a comfortable place to sit, this bench will be perfect for the bedroom, hallway or living room. 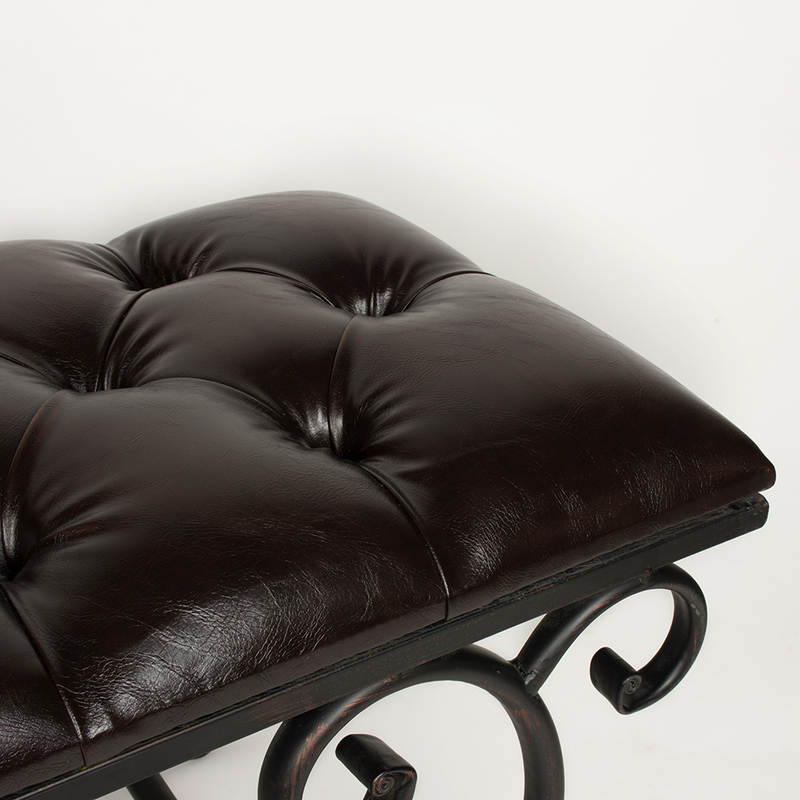 Placed in a bay window this will offer a place to sit whilst you contemplate the day. So if you're looking for that extra seating for your home, look no further than our fabulous range of furniture, with so many styles and colours to choose from.